LONDON, UNITED KINGDOM, September 10, 2018 /EINPresswire.com/ -- The World Food Bank is pleased to announce that our President Scott Brown will be speaking in the pitch round at the upcoming SDG Zero Hunger Event in London. Globally, one in nine people in the world are undernourished, with poor nutrition causing nearly half of deaths in children under five, research by the United Nations (UN) has shown – Hence, the UN named ‘Zero Hunger’ the second in their list of Sustainable Development Goals (SDGs). 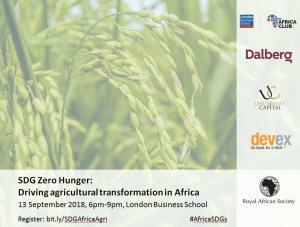 Addressing this specific SDG, Uhusiano Capital is organising a discussion and networking event in partnership with the Royal African Society, Dahlberg Group, Devex, and the Africa Club at London Business School. 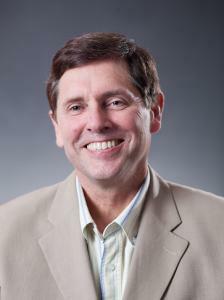 The World Food Bank will be one company presenting it's innovation solutions to hunger at the event. “This event is a great opportunity for African agri businesses, commercial agribusiness players and a diverse range of investors to meet and network,” said Christelle Kupa, CEO and Founder of Uhusiano Capital, about the event. Uhusiano Capital organizes an engaging and interactive pitch competition, enabling African agribusinesses to pitch their projects to diverse players of the impact investment space, including the four judges – Lisa Conibear, Business Manager at Shell Foundation, Joseph Ssentongo, Senior Evaluator at Global Innovation Fund, Eren Kelekci, Chief Private Sector and Blended Finance at African Development Bank, and Mariana Graça, Investment Manager at African Agricultural Development Company. “A Pitch Challenge like this is unprecedented in Agriculture projects” says Ruby Alcantara, Advisor to Uhusiano Capital and moderator of the Pitch Challenge, “Projects from across Africa will be vying for the judge’s and audience’s attention. Will they get it?” Other parts of the event include a keynote address and a panel discussion with a broad set of actors. The event will be held at The Dining Room, London Business School on Thursday, September 13th. Registration starts at 17:30 BST with the event scheduled to begin at 18:00 BST. Tickets to the event are £12, with all proceeds going to support the initiatives of Royal African Society*. Learn more about the World Food Bank.